Dan Plesch does not work for, consult, own shares in or receive funding from any company or organization that would benefit from this article, and has disclosed no relevant affiliations beyond their academic appointment. Gina Haspel’s nomination to be director of the CIA has brought attention once more to the US’s use of torture. The current commander-in-chief, Donald Trump, has lauded “waterboarding” (simulated drowning/suffocation) and suggested the US resume it. Haspel, meanwhile, ran a US “black site” at an airbase in Thailand where the technique was reportedly used. Tapes of CIA interrogations there were destroyed in 2005. Haspel reportedly reassured senators that if appointed she will not permit such interrogation techniques, will accept recent US legislation that outlaws waterboarding, and will abide by the US military manual, which doesn’t authorise what the Bush administration notoriously referred to as “enhanced interrogation techniques”. Nevertheless, plenty of people in the US power structure – not least Trump himself – are willing and even keen to resume waterboarding and other torture techniques. Given their apparent lack of compunction, it’s important to recall how the US has judged other countries that went down this road. Going back to the end of World War II, there are several precedents that Haspel’s questioners on the Senate Judiciary Committee should raise with her. They provide evidence, as if any were needed, that banning the maltreatment of prisoners is not some cringe of latter-day political correctness. 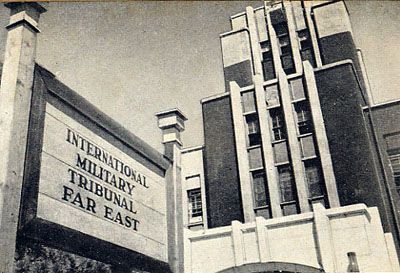 After Japan surrendered to the allied powers in September 1945, many of its leaders and senior military figures were tried in Tokyo by the US-backed International Military Tribunal for the Far East. Among other crimes, the tribunal found the Japanese leadership guilty of the systematic use of water torture. Many US military tribunals convicted lower-ranked Japanese officials of this crime and other tortures. The so-called ‘water treatment’ was commonly applied. The victim was bound or otherwise secured in a prone position; and water was forced through his mouth and nostrils into his lungs and stomach until he lost consciousness. Pressure was then applied, sometimes by jumping upon his abdomen to force the water out. The usual practice was to revive the victim and successively repeat the process. Rank-and-file Americans who were subjected to water treatment saw justice meted out to their Japanese captors by US military tribunals. In 1946, one tribunal sentenced civilian interpreter Isamu Ishihara to life imprisonment for a variety of tortures, including water treatment. Among his victims were sergeants Minnick, Schick, Stowe, Stowers, Dr Foley of the US Navy, and a US civilian named Bernie Bergman. The evidence given was revoltingly graphic. Crucially for the senators who’ll vote on Haspel’s nomination, this is not just a matter of historical record. The original charges and the trial reports were processed through the operational documents of the United Nations War Crimes Commission, whose reports were found to have legal authority today by the International Criminal Tribunal for the former Yugoslavia. And should anyone in the Senate require further support for the idea that torture and maltreatment of prisoners is un-American, they can look no further than to the views of one of their most notorious forbears, an apparent role model for President Trump: Senator Joseph McCarthy. When confronted with allegations that US interrogators had tortured former SS troops on trial for massacring defenceless US soldiers who had surrendered during the Battle of the Bulge of 1944-5, McCarthy maintained that it was unacceptable for US Army war crimes prosecutors and guards to use any physical or psychological torture methods to interrogate the accused. Such behaviour, he argued, sullied the name of the US and called into question the validity of convictions. When Haspel goes before the Senate, it’ll be of public interest to know whether she supports the high standards McCarthy sought to uphold – whether she thinks it was right to convict Japanese prison camp guards of the crime of water treatment, and whether Tokyo was right to convict those who oversaw their torture. Given all that’s come out in recent years about War on Terror-era CIA interrogation methods, these questions could hardly be more awkward for her.